In this post you'll find a detailed guide explaining how to unlock the Pack-a-Punch in Blood of the Dead zombies. The PaP is a returning feature in Black Ops 4 and an essential part of preparing for high rounds and the Easter Egg hunt. 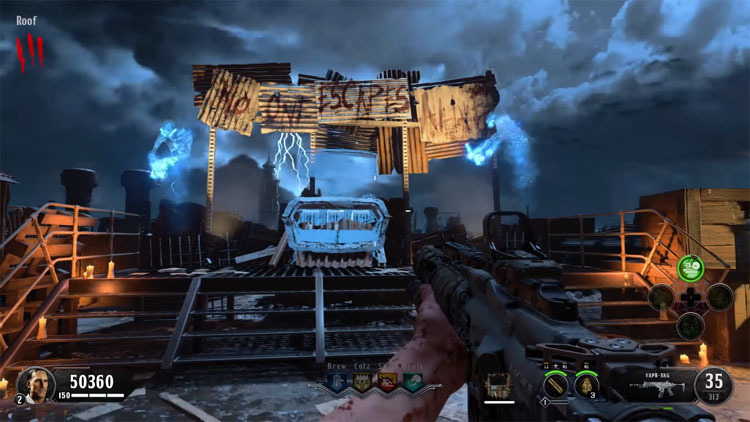 With the Golden Gate bridge removed from the remastered Blood of the Dead map, players can no longer build the plane to fly over the water to the Pack-a-Punch area. However, the row of electric chairs that were present on the original map are included in the new map as well. These chairs are essential to understanding how to unlock the PaP. In addition to needing to know the actual location of PaP, you'll also need to appreciate the importance of the new Spectral Shield in the map. This redesigned shield is not only protective but also useful in activating certain features of the map - most notably the PaP machine. The new Spectral Shield is crafted from three parts that are scattered throughout the map. For details on the actual part locations see the additional shield guide. Once you have all parts, head to a workbench and assembly the final shield. Pick up the shield from the workbench and move onto the next step. Note: It's worth keeping a mental note of where you built the shield incase you need to return to that workbench at a later time (i.e. if the shield breaks). Equip the shield and use the new Drain Essence function to zap zombies (or dogs) to collect their souls. This process will gradually charge the shield so you can unleash the energy at a later time. You'll know when the shield is ready by watching for the notification message on the left of the screen. It says something like "Unleash the spirits". It's worth practicing this step first since the sidearm of the shield is fairly weak and you'll need a bit of space to avoid going down at higher rounds. 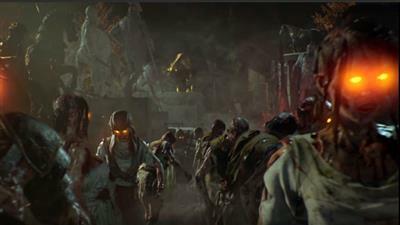 The rooftop area makes a return in Blood of the Dead. Rather than actually assembling the plane up here you'll be looking for the electric chairs which are permanently stationed towards the rear of the rooftop. Head towards the rear of the rooftop and look for the electric chairs and the meter just to the right (see image above). We need to electrify this meter to summon the spirits to build the PaP. Now equip the shield, take aim at the meter and press the appropriate button to shoot a "Spirit Blast". If done correctly, blue ghosts will appear briefly before a strike of lightning brings down the PaP machine where the electric chairs are. Simply walk up to the PaP machine and spend 5000 points to upgrade your equipped weapon.